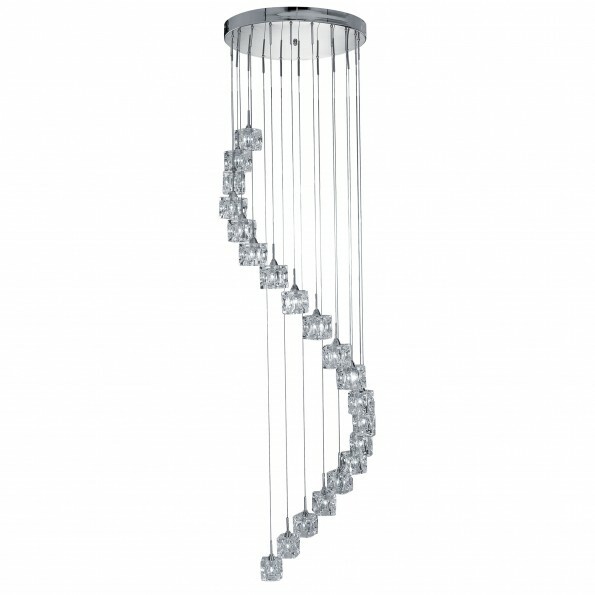 Bring an exciting modern edge to your home with this exquisite multi drop feature that looks fantastic above a stairwell. 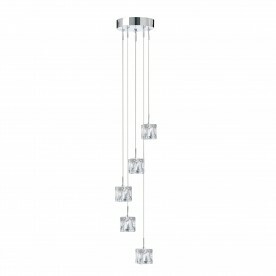 The item stands at 3m and from this, 20 lights drape in a stylish manner from a chrome ring attached to many mild steel cords. 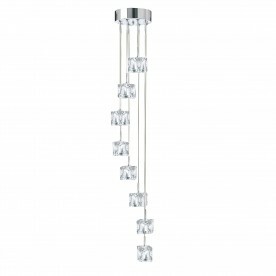 The ice cube glass shades have a textured slight dimpled effect.